Reservation Policy: As a condition of your use of this Website to make a reservation or to make a reservation in person or over the phone with Murphy’s River Lodge, you warrant that you are at least 21 years of age and you possess the legal authority to create legitimate reservations for you or for another person for whom you are legally authorized to act. All reserved rooms must have a guest 21 years of age or older as an occupant, valid credit card and ID required. Deposit Policy: We require a deposit of the first night’s room charges. This amount will be charged on your credit card at the time of reservation. The balance of your reservation total will be due in full upon arrival. We accept Cash, Visa and MasterCard ONLY. No personal checks will be accepted. Room keys will be issued at time of check-in. Your credit card will be charged $25.00 for each key not returned upon checkout. Cancellation Policy: If you cancel 7 or more days prior to your arrival, there is a $20.00 cancellation fee-PER ROOM- If you cancel less than 7 days prior to your arrival, you forfeit your deposit. 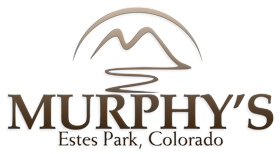 We reserve the right to cancel any reservation by providing 14-days’ notice or will attempt to find you a room at our sister property: Murphy’s Resort. Revisions Policy: Effective May 1st 2015, all room changes or modifications can be made free of charge until 30 days prior to your arrival date. However, there will be a $20.00 processing fee for any room changes or modifications made within your 30 day arrival window. No modifications are permitted within 7 days of your arrival. Changes include but are not limited to: Dates, Room Type, Room Location and also includes weather related circumstances. Room Capacity: All our rooms have a capacity limit. Fee will apply after reaching capacity for that room type. Children under 16 are free (up to 2- children per reservation/room type). There is a $15.00 fee per person over allotted room capacity. Roll-always are available for a $10.00 fee. No Show Policy: Guest is responsible for all day(s) reserved and the credit card used for the deposit will be charged accordingly. NO REFUNDS on early departures. Minimum night stays may be required, please call for details. Check In and Out: Check In time is 4:00 p.m. Check Out time is by 11:00 a.m. Guests checking out after 11:00 a.m. will be charged another full days room rate plus tax. Check in time is from 4:00 to 8:00 p.m. If you will be arriving later than 8:00 p.m. please call our office for late arrival instructions! Gift Certificates: Vouchers or Discount Coupons must be presented at time of check in. Pet Policy: We have 8 Pet Friendly units. They are available only upon request. Guest must make request for a Pet Friendly unit at time of booking. Pet friendly rooms are available for an additional fee of $20.00 per pet, per night, limit of two pets per unit. Guests are required to fill out and sign a pet waiver at check in. ALL pets are required to be on a leash while on the property or in a pet taxi or kennel when left unattended. There are two designated pet areas with doggie bags and trash can, all guests are required to clean up after their pet. We only allow well behaved dogs - no cats please. NO PETS will be allowed in non-pet friendly units. Guests credit card will be charged a $250.00 cleaning fee if they have a pet in a non-pet friendly unit. GUESTS ARE NOT ALLOWED TO LEAVE ANY PET IN A VEHICLE ON OUR PROPERTY OVERNIGHT. No Smoking of any substance, including "medicinal marijuana”, is permitted inside any unit, deck, balcony or other building on our property. Cigar and Cigarette smoking is permitted in the two designated areas only. Guest’s credit card will be charged a $250.00 cleaning/sanitizing fee if their unit has been smoked in. Unit 210 is a Gel Fuel fireplace and is only allowed to burn Gel Fuel which is available for purchase in the office for $5.00 per can or 2 cans for $8.00. You may also bring your own. Daily housekeeping: must be requested by hanging the “Maid Service Please” card on the outside door knob. If card is not placed by 12:00 p.m., you will not receive housekeeping service. If you do not want daily housekeeping, please hang the “Do Not Disturb” card on the outside door knob. We reserve the right to enter our rooms for any urgent matter/emergencies. Please note: Use of strong Spices while cooking or any other means that would cause a lingering oder in our rooms or homes that would require extra cleaning, use of an Ionizer and/or other methods may incur an extra cleaning fee in the amount of $100.00. There is no lifeguard on duty, swim at your own risk. No children under the age of 14 are allowed in the pool area without parental supervision. No children under the age of 18 are allowed in the hot tub. All guests are required to shower before using the hot tub. Murphy’s River Lodge will not be held responsible for any injury’s incurred in the pool or hot tub area due to misconduct or negligence of the posted rules. NO PETS are allowed in the pool area. Quiet Hours are between 10 PM - 7 AM. Please respect other guests by honoring each person's right to relax, unwind, and enjoy the peace of Estes Park. If any of our other Murphy’s River Lodge guests demand a refund due to excessive noise and/or misconduct by you or anyone else in your party, you will be held responsible to pay the amount that was refunded to them and your credit card will be charged that amount. You will also be held responsible for any damages on the property incurred by you or anyone else in your party and your credit card will be charged an appropriate amount after the damages have been assessed. This includes Room closure due to property damage by you or anyone in your party. Excessive noise also includes barking dogs. By using this Wi-Fi, you agree to be bound by these terms. If you do not agree, please do not use the Wi-Fi. If you have any questions, please contact the manager. The use of this Wi-Fi is subject to this acceptable use policy. Act lawfully – do not act in any way that could be unlawful or encourage others to act unlawfully. In particular, do not infringe intellectual property rights, do not reveal confidential or sensitive information and do not engage in any criminal offense or encourage others to do so. Act responsibly – you must not undertake actions that are harassing, defamatory, threatening, obscene, abusive, racist, sexist, offensive or otherwise objectionable or inappropriate. Do not pretend to be anyone other than yourself. Do not collect email addresses or other personal details or use the Wi-Fi to send spam. Act reasonably – do not use Wi-Fi access in any way that may affect the running of the Wi-Fi or network or other technology connected to it (for example, other WiFi users’ devices). In particular, do not upload or download very large files and make sure your device is protected by up-to-date anti-virus software. Be fair to others – don’t use the Wi-Fi in an unreasonable or excessive manner. Understand that almost every individual comes to our lodge with 2 devices requiring WiFi. During bad weather or busy hours, our system can easily become clogged or slow with all the multiple devices. If you have difficulty getting on the system, be patient and check your device to insure that it is not virus corrupted or has other operating system problems. We don’t charge you for using the Wi-Fi. So you accept that sometimes, for technical, legal or operational reasons, it may not be available. We may also control the types of material that can be sent or received over the Wi-Fi. If we want to we can also suspend your access at any time in our sole discretion without responsibility to you. Your use of the Wi-Fi is at your own risk and we are not responsible to you for any damages, losses, costs or expenses you suffer because the Wi-Fi is unavailable, does not operate as expected or causes loss or damage to any data. You are responsible to us for all damage, losses, costs or expenses suffered by Murphy’s River Lodge arising out of any breach by you of these rules (for example, if you use the Wi-Fi for copyright infringement or to commit a criminal offense). If we or any member of our staff are subject to any claim or request for information about your use of the Wi-Fi, we may disclose information about you (for example, your IP address or the email address you provided when accessing the Wi-Fi). Nothing in this acceptable use policy limits or affects our responsibility to you for death or personal injury caused by our negligence or fraud.